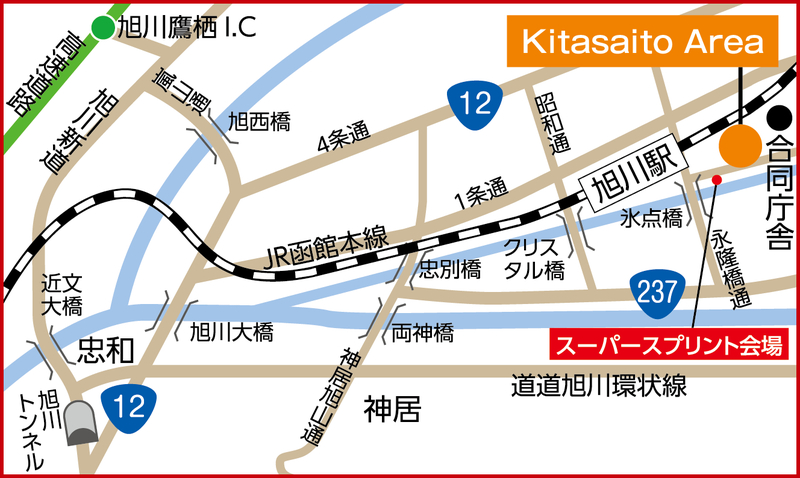 Get off at Takasagodai-8chome(on foot 20 minutes). Taxi From Asahikawa station about 20 minutes. ※Transit time and Taxi fare may vary depending on the situation. Get off at Goudouchousha-mae(on foot 2 minutes). Taxi From Asahikawa station about 2 minutes. 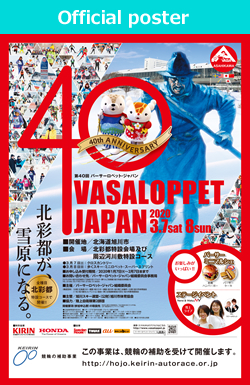 Shuttle bus would be available from several points in Asahikawa to the race site. Details would be available on demand after decided. Please feel free to contact us.